British pharmacist Mike McInnes and his son Stuart, a nutritionist, have devised a diet that involves taking a spoonful of honey at night before bedtime. Their book, "The Hibernation Diet," was published in September 2007. Mike McInnes says the honey at night sets a chemical cycle in motion releasing hormones and burning fat as you sleep. He says without the night-time honey, the body produces stress hormones and wastes energy stabilizing blood sugar levels. However, he provides no scientific evidence to back this up. As well as taking the spoonful of honey at night, Mike and Stuart McInnes also offer a regular exercise program, as well as sample recipes as part of an overall healthy lifestyle routine. The ingredients include fresh fruit and vegetables and other healthful options. Although there are no specific food guidelines other than the night-time spoonful of honey, they discourage eating processed foods. According to the National Honey Board, there are more than 300 types of honey in America. The bee collects nectar from all species of flowers from orange blossom to clover, making a distinct flavor for each honey type. Honey can be light or dark, mild or strong and it provides 64 calories per tablespoon. Although it will not have the same clear, golden appearance, raw, unfiltered honey retains the vitamins, amino acids and protein of the natural product and has more health benefits. Since 1981 Dr. Peter Molan, a professor at The University of Waikato in New Zealand, has been researching the healing powers of honey. To make honey, the bees add enzymes to the nectar they carry back to the hive. This mix produces an antibacterial effect. In the case of manuka honey, a nonperoxide outcome give this type of honey a unique manuka factor. Manuka honey is high quality but more expensive than other types of honey. Honey is twice as sweet as sugar. Diabetics and hypoglycemics must take care when including it in their diet because it will produce a similar reaction to blood sugar levels as sugar does. However, tupelo honey is an alternative to other types, because it has a slower absorption rate, making it safer if taken in small amounts. If you are diabetic, hypoglycemic or any have any medical condition, check with your physician before taking tupelo or any other type of honey, according to Benefits-of-honey.com. Taking a spoonful of honey at bedtime is only a small part of a lifestyle change. In the "Hibernation Diet" the fitness and a healthy eating plan follow the line of common sense. 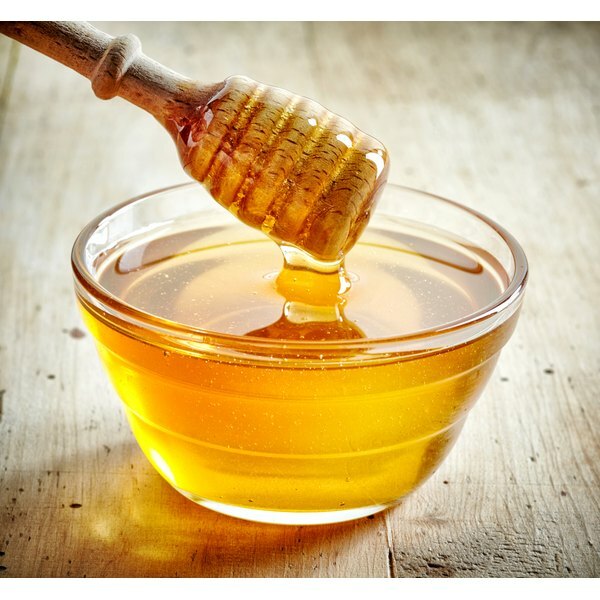 In the absence of empirical or scientific evidence that the spoonful of honey at night leads to burning fat, you cannot be sure of losing extra weight, according to DietSpotlight.com. Regular moderate exercise and a sensible healthy diet comprise a good lifestyle choice. Check your blood sugar levels with your doctor before adding regular spoonfuls of honey to your diet. Honey.com; Honey - a guide to Nature's Sweetener"